Sometimes we need to root the Android device to unlock some hidden features or install some special Apps. But generally, rooting for some Android devices requires unlocking the bootloader first, which will empty all the device data to do factory settings. So, in order to make sure your data will not lose, you must back them up before rooting. However, it’s not so easy to achieve making complete backup. 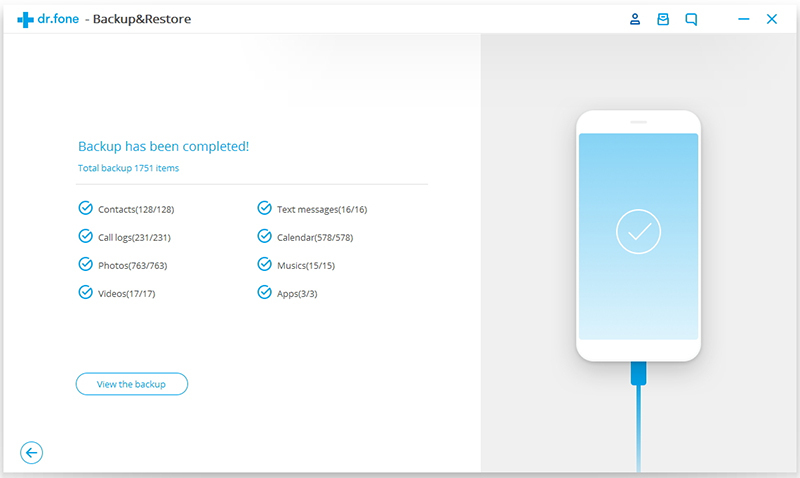 Generally, you can only backup photos, videos, calendars, contacts, text, and possibly application data and music by Google account without using some tools, you can’t back up the application data such as WhatsApp chats, Facebook messages, Viber, Kik, etc. So is it possible to create a full backup of the Android phone? Follow the below ways. The easiest and most common way is to transfer your device data using a USB cable to computer. It’s not complicated. Step 1. 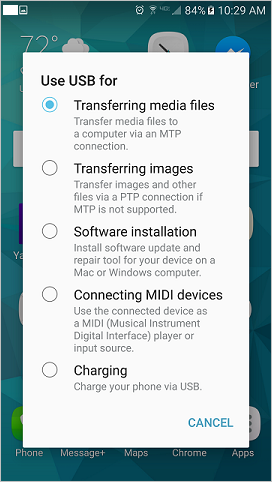 Plug your Android device into computer and connect as a media device (or choose MTP option). Step 2. After connection, you can see your device name in My Computer. Step 3. Double click your device you can access what’s on your device as a file folder. Right click the folder you want and copy them to the local file folder. Backup is done now. 1. 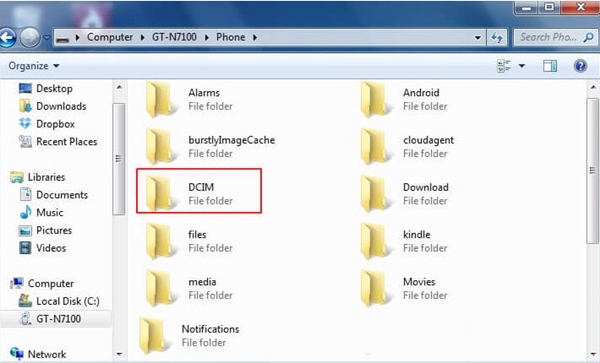 Camera photos and videos are in the DCIM folder. 2. Screenshot image is in the Picture folder. 3. Download files are in the Downloads folder. 4. Files received through Bluetooth is in Bluetooth folder. 5. App specific photos are in its own folders such as WhatsApp folder. The disadvantage of the former method reflects that you need to manually click and copy every file folders onto computer, somewhat tedious and messy. If you want the more convenient ways, keep reading. Google account helps to back up & sync some important phone data, too, if you don’t have one, go to register a Google account in Settings. 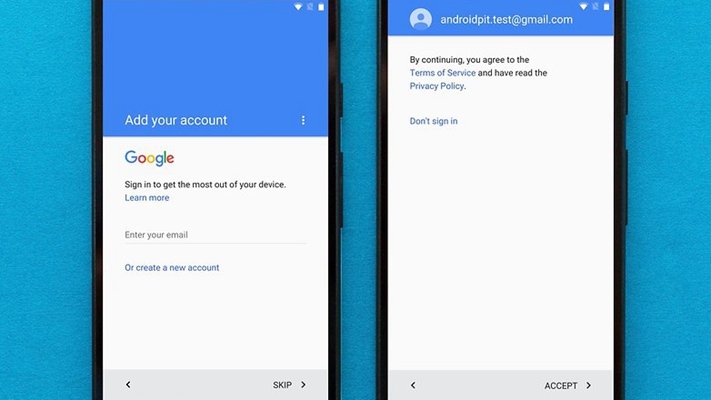 Google provides the service of backing up your contacts, calendar and some device settings, but the other data types cannot be backed up via Google account, such as photos, videos, music, SMS，APP data etc. You may need to back up the data in several steps. Step 3. Tap “Backup Account” and “Add account” to add your Google account, if you don’t have one, create a new one following the screen. Step 4. Back to Settings menu. 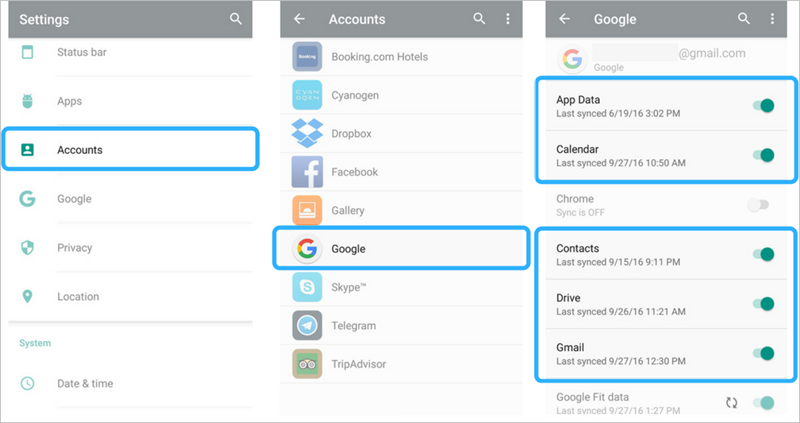 Tap “Accounts” > “Google”, then turn on the sync button of each available data type you hope to sync. Note: Make sure you are connected with mobile data or Wi-Fi. Step 1: Have a Google account, and if you don’t, create a new one. Step 2: Run the Google Drive, you can choose whether Wi-Fi only or not in the “Data usage > Transfer files only over Wi-Fi” under the “Settings” in Drive menu. Step 3: Sign in your Google account by tapping on the menu icon at the top left corner, then Google Drive/Google Photos will associate to your registered Google account automatically. Or add your Google account manually. 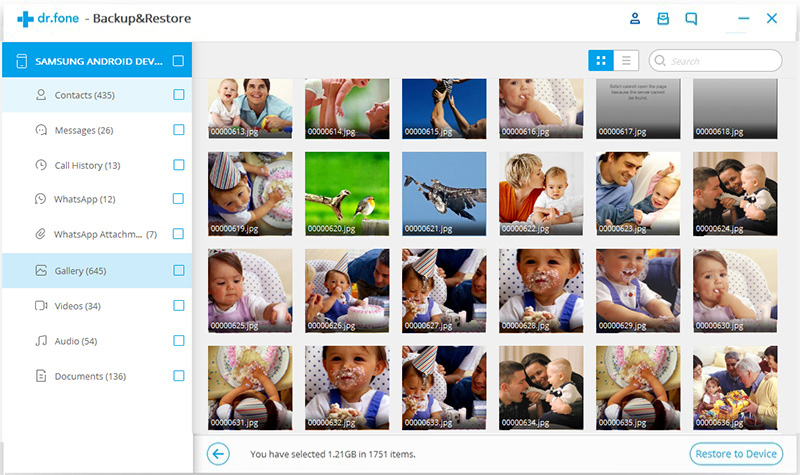 Alternatively, you can open Google Photos, which will automatically sync your photos and videos to cloud. You can also select Wi-Fi only option in the settings. Compared to Google Drive, Google Photos allows you to edit your pictures slightly. Step 4: When transferring photos, go to your computer and run the Google Drive software or visit Google Photos website, log in the associated Google ID, and then manually download photos to your PC. However as you will know, Google account is hard to make a full backup of your device data. 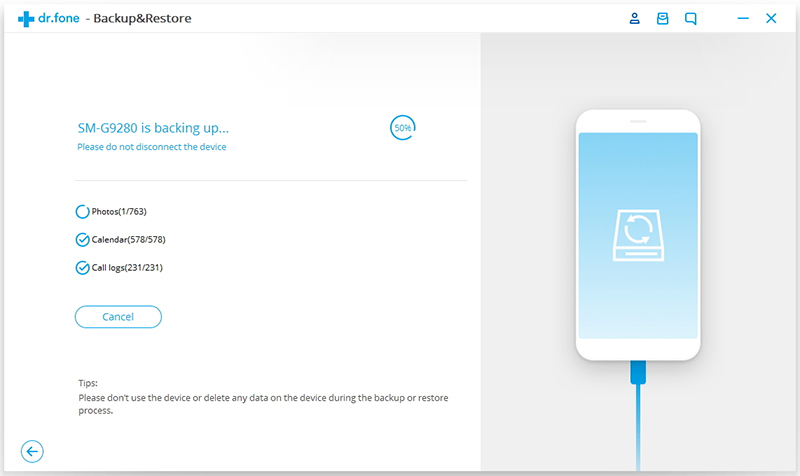 As the technology develops, now some advanced third-party tools can cope with complete backup of your device, among which the Android Data Backup & Restore toolkit is the most recommendable one. 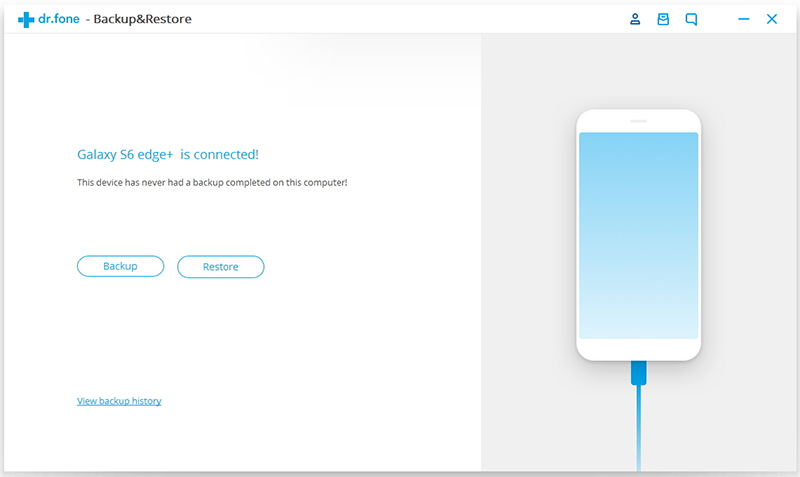 Android Data Backup & Restore toolkit helps the vast majority of Android device to back up complete data, including application data, photos, music, contacts, settings, files, notes and any other file types on your phone. The operation is simple, just a few clicks with no technical requirements. Step 1. 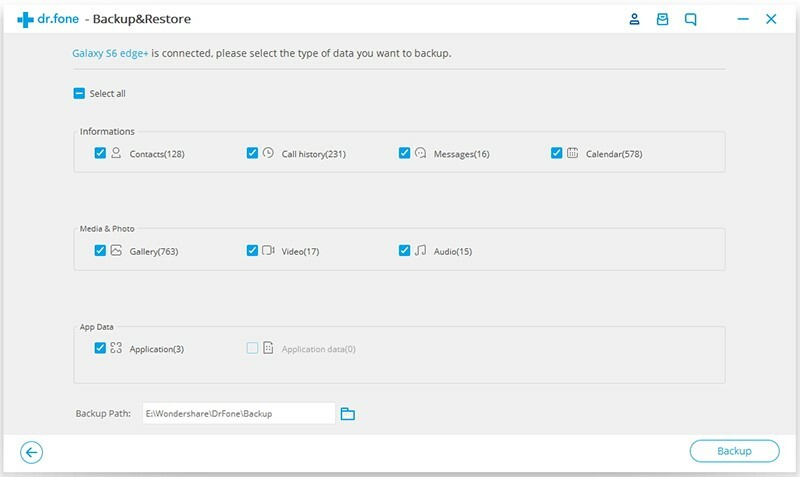 Launch the toolkit and select the feature “Data Backup & Restore”. Step 2. 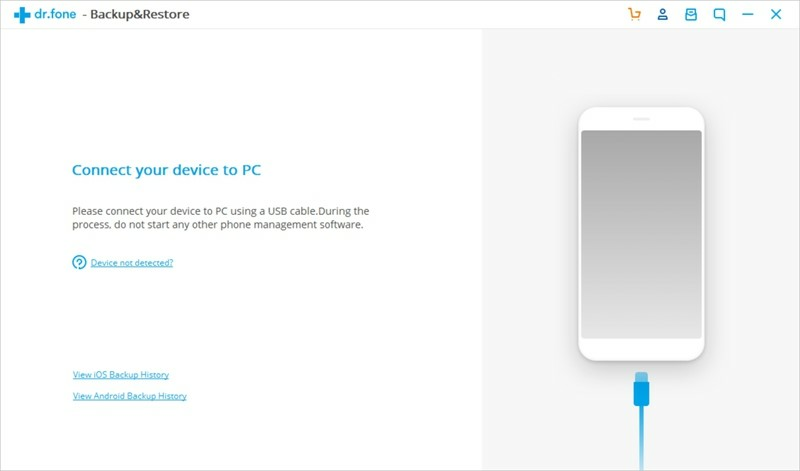 You will be prompted to connect your device. Plug your phone into computer using USB cable. And click the “Backup” button to begin. Step 3. Select the data types you want to back up. By default all of the existing data types is selected, you can select them by ticking the option box one by one. As for the App data, you can also check them by clicking the arrow to view. Once you have selected what you hope to back up, click on “Backup”. Step 4. The backup process will take a few minutes, so please wait patiently without using the device. Keep your device connected. See the progress of the backup process. Step 5. Once the backup succeeds, click the button “View the backup” to check if your wanting data is in it or not. All the files are stored on your computer now. You can then use this tool to restore them to your Android phone at anytime and anywhere. 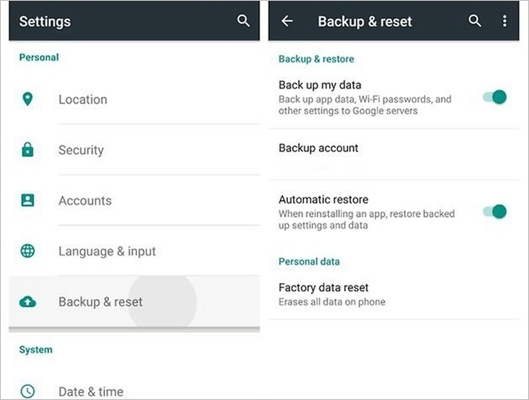 Obviously, Android Data Backup & Restore Toolkit is the best resort to back up your Android phone data, it can not only supports you back up all the data on your device, the more convenient is that it is easy for you to restore what you backed up using this toolkit with one click later. There is no doubt that it is a one-stop shop. It will be a big help when you want to make a full backup before factory reset or rooting your phone. Go have a try with the useful software, you will be surprised by its powerful features.